Kevin Aho is Associate Professor of Philosophy at Florida Gulf Coast University. "Surely the best overview of the movement available today. 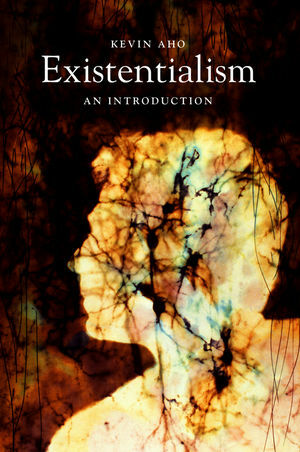 Aho clarifies the place of existentialist philosophy in world thought, carefully and fairly examines all its major figures, and shows its relations to recent thought and movements. With his clear and energetic writing, Aho brings existentialism to life." "Historically comprehensive and philosophically acute, Kevin Aho's Existentialism is a wonderful introduction to the '-ism' that isn't, to 'the noth-ing' that burst forth in philosophy and literature like a series of coordinated attacks on existing reality, exposing the hollow core of modernity and thereby opening up our future." "Kevin Ahos book is a commendable effort to show why existentialism is still relevant today as a tool of understanding what it means to be a human being in the world. Drawing from the writings of the giants of existentialist thought, the author makes a compelling argument for the contemporary relevance of the philosophy and why it is useful as a critique of both the modern individual and society. Ahos work provides a lucid account of what needs to be known about existentialism and its protagonists."